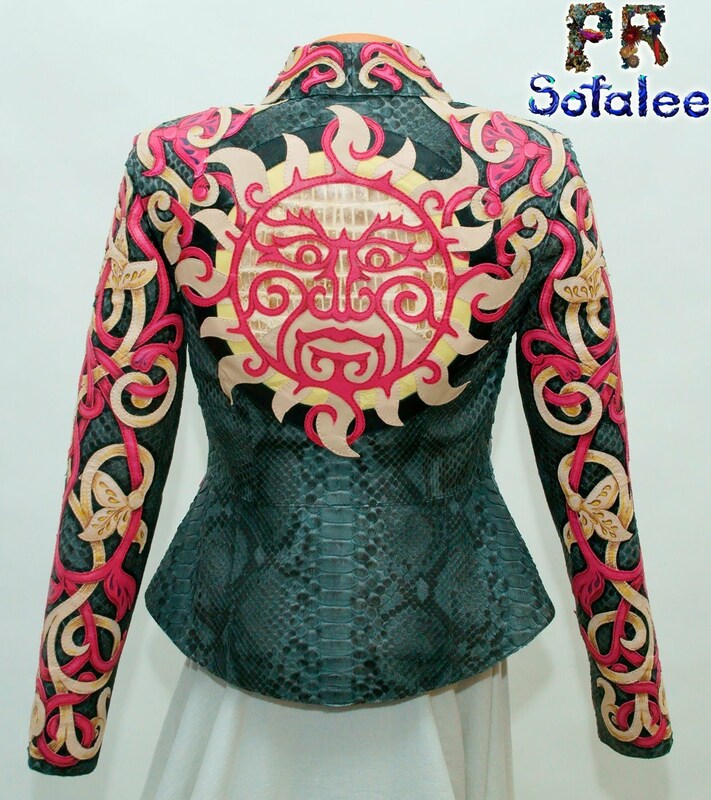 №193 Jacket for cool women from genuine python real crocodile skin- "Melania" exclusive handmade by Sofalee! Quality guarantee. 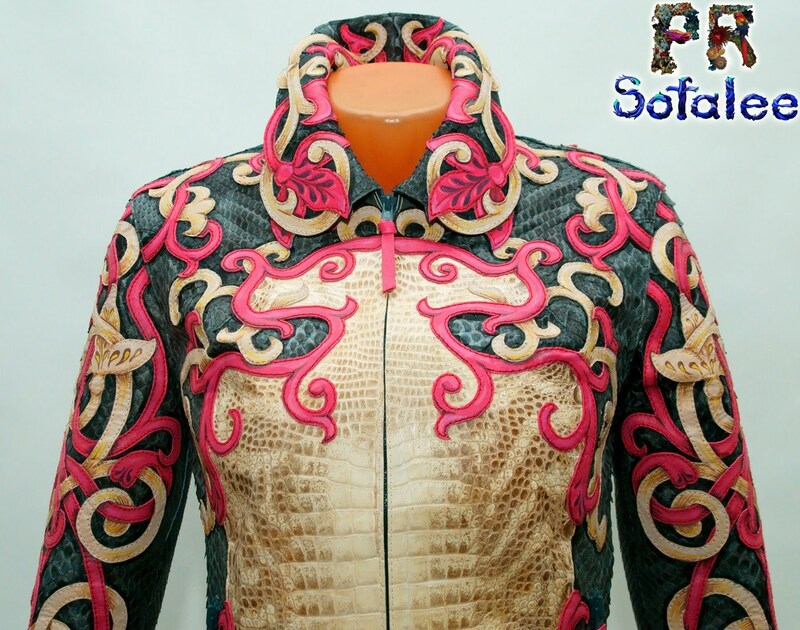 Genuine soft crocodile and python, embroidered of lambskin, high quality. Женская кожаная куртка -"Melania" из натуральной кожи крокодила питона и овчины ! Прекрасная тема переплетающихся растений делает куртку живой! Изготовлена в единственном экземпляре в ателье "PR", модельер Sofalee, Москва. Есть в наличии. Размер 44. Цена 111000 руб. 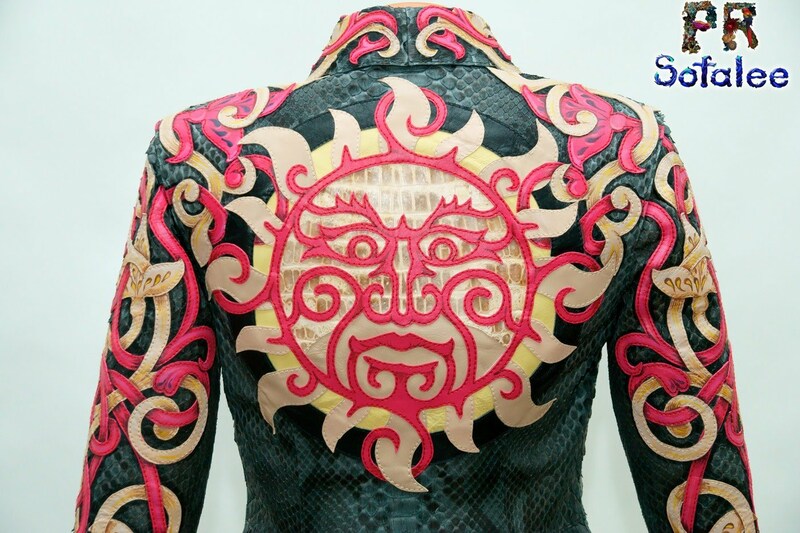 The back of the female jacket is made of genuine leather, the sun is depicted. The sun gives life to all living things! The owner of the jacket wears the sun, loves the sun, adores the sun and himself shines with the light of good and happiness. 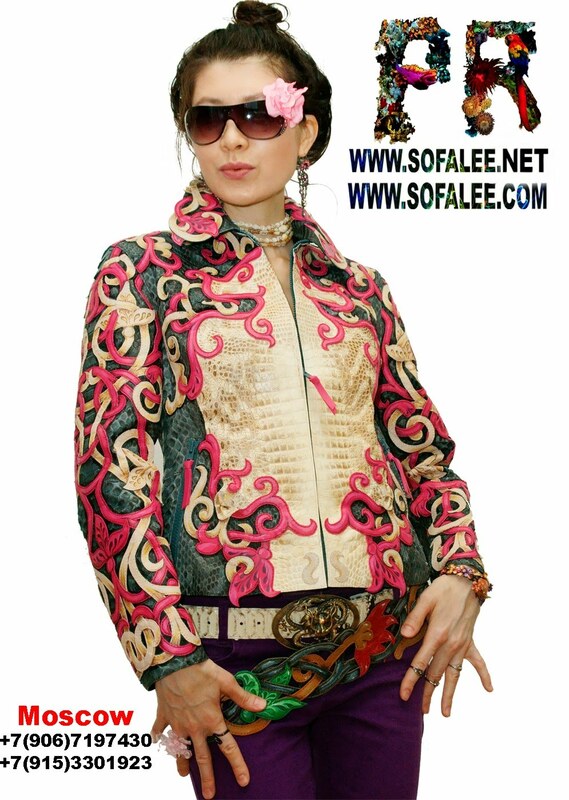 Women's leather jacket made of genuine python crocodile skin and sheepskin. The jacket is fitted, of medium length .Very reliable product, high quality, designed for everyday wear. Women's Jacket genuine leather! Embroidery of interlacing plants-applique.Symmetrical volumetric drawing. Magic harmony of the texture of natural leather! 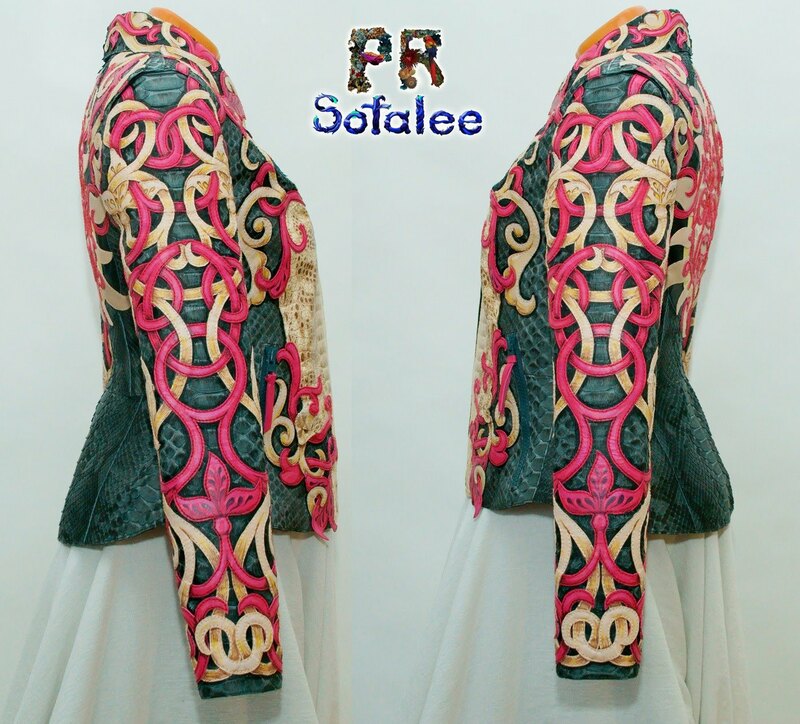 The best product by Sofalee!